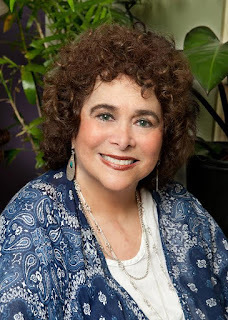 I loved Relentless, Nancy J. Alexander's first book in the Elisabeth Reinhardt series--so I was excited to read Seeing Double--which launches the main character into a new series of adventures. What did I think of Seeing Double, the first book of the Olive Branch Series? "A chill ran up her spine, triggering an alarm that spread through her system. Her eyes studied him as his eyes studied her. In the recesses of her mind, a fragment of a memory tingled...a tiny blip from long ago. An image spiraled, then vanished. There was something about this young man, this Ari Ben Aviv. There was something about him she couldn't pinpoint." Seeing Double Required Some Focus to Settle into the Story. I had a tough time diving into this book. I settled right into Reinhardt's chapters and interactions--but, found myself needing to re-read and refocus a bit as the other characters were introduced and the scenes began to form. Alexander creates some amazing characters throughout this book--I just found it a little complicated to "map everything out" with a single read through of the first several chapters. 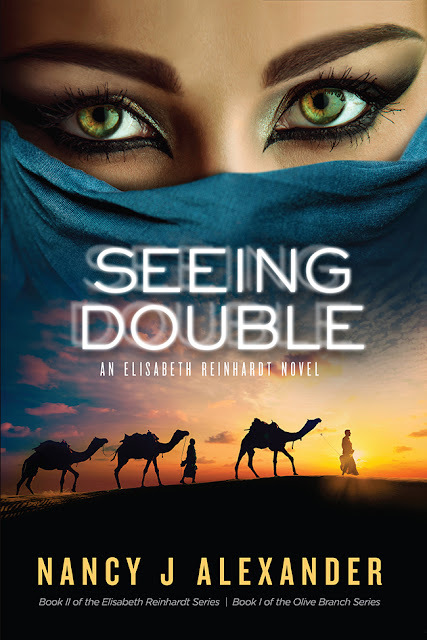 Seeing Double offers a complicated cast of characters and twisting plot. Alexander is a very organized, detailed writer. Once I had everything (and everyone) "organized" in my own reader's mind--the book moved flawlessly. Seeing Double takes readers on a fast paced, complicated, twisting and turning adventure all the way through to the end. The author offers readers a lot of detail and a lot of information as she moves among her various characters to unveil the story. I love the design of this series--as readers are included in a host of subplots and scenes within each and every chapter. Would I recommend Seeing Double? After reading and re-reading the first several chapters of the book; I settled into the characters and their stories. Alexander creates a wonderfully, complex, interrelated book from her various characters and a host of plot twists and side stories. This book is the first book in a series--and; unlike Relentless, this book does end with some unresolved issues--some of them larger issues, so readers should plan to add the next book of the series to their reading list. I enjoy Alexander's writing style. I enjoy the inside looks at each of her characters and their individual stories. This book will keep readers guessing--and create enough interest in the characters and their plights to pull readers forward to the next book of the series.